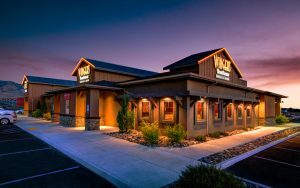 Ever had to make multiple adjustments trying to get into an RV site? 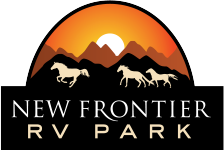 That’s not going to happen at New Frontier RV Park. With 70’x30’ level sites there is plenty of room for slide-outs, extra parking and full hook-ups, of course. Staying in a park has been just a necessity when traveling in an RV. We aim to change that. Quiet is something we all appreciate and this park is quiet. The sunset and sunrise views are spectacular from your front door. The variety and diversity of things to do here are overwhelming. Be sure to visit the Humboldt County Museum and the Outlying Communities to get a better feel for who we are. There are a lifetime’s worth of photographic opportunities just waiting for your camera. 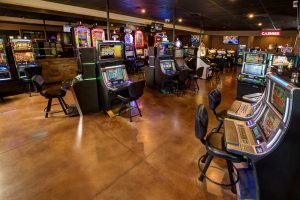 You can walk next door to Wingers Roadhouse Grill for a meal away from the RV and win a few dollars gambling at the Winnemucca Roadhouse Casino while you are there. The hiking/biking trails are right in our backyard. And there are rodeos, barrel racing, fishing, hunting galore. Check out our calendar for all that is going on.